G4K King Rescue 2018 Escape is another point & click escape game developed by Games4King. Welcome back, escapers! The story of this game: Assume that you and your king went for hunting. After hunting, your king asked for taking a rest. After taking the rest, when you returned, you noticed a few houses nearby. When you went to your king to deliver the message, your king was not there. 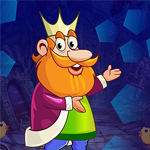 So use your skills to collect necessary items in the forest to rescue your king. Good luck and have fun! The puzzle in the first scene is awful. I used a big X on this one. It was a pain, but doable. Thank you G4K. Nice game! Thanks for the sword, Loralei119. I was stuck there. Good game - not overly taxing, but just enough. No problems with getting the flower through the lasers here. Thanks, G4K! btw, don't have any tune...? !